Laura Choate, associate professor of counselor education at Louisiana State University, is the editor of Eating Disorders and Obesity: A Counselor’s Guide to Prevention and Treatment, a new book published by the American Counseling Association. 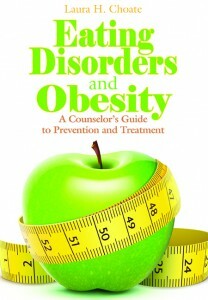 Choate believes the book is a unique resource for counselors that sheds new light on how to treat and prevent eating and obesity-related disorders. What inspired you to write Eating Disorders and Obesity: A Counselor’s Guide to Prevention and Treatment? Rates of body dissatisfaction-disordered eating and problems with body weight and shape are increasing in populations across the life span. For example, young women are particularly at high risk for eating-related concerns such as binge eating, and obesity rates are increasing rapidly in the general population, putting individuals at risk for negative health outcomes. Furthermore, those individuals who experience body dissatisfaction and subthreshold eating disorders are at high risk for the development of potentially life-threatening, full-syndrome eating disorders such as anorexia nervosa and bulimia nervosa. The book provides insight into these problems and offers detailed information for the prevention and treatment of these concerns. How does this book compare with similar books on market? There is little information available in the field written primarily for a counseling audience. Many of the best-practice treatments are located in manuals that are hard to access. 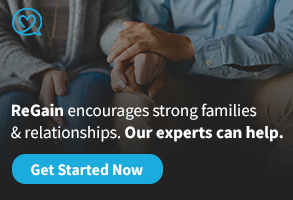 This resource provides essential foundational information for counselors such as sociocultural influences, gender differences, ethical issues, information on current assessment and diagnostic concerns, effective prevention programs for communities and schools, and best-practice treatments for a range of eating-related problems. The book is distinct from others on the market due to the fact that it is written specifically for counselors. It contains both detailed prevention and treatment guidelines; it has a school and community focus; and it is accessible for practitioners who may not specialize in the area of eating disorders and obesity. The book contains information on sociocultural dynamics, assessment, diagnosis, conceptualization, prevention and treatment. 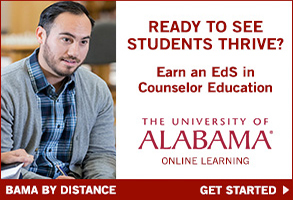 Counselors will have information on a variety of topics located in one resource. The book is written in an accessible format, with chapter highlights, case examples, and recommended online and print resources. Because it is reader friendly, counselors will be able to access and use the information. How did you choose contributing authors, and how did this enhance the content? The idea for the book came from my experience as guest editor for the special section on eating disorders prevention and treatment published in the summer 2012 issue of the Journal of Counseling & Development. Based on the response to that collection of articles, I decided to compile a book on both eating disorders and obesity, and to address the areas of foundation, assessment and practice frameworks, prevention and evidence-based treatments. I invited some of the authors from the special section to contribute chapters based on their fit with one of these four areas, then sought out specific leading experts in the eating disorders/obesity prevention and treatment field to round out each section. The authors are practitioners as well as researchers and come from psychiatry, psychology and counseling disciplines, and all are doing important work in the U.S. as well as in Canada and Australia. I was honored to have a chance to work with each of them. How did you get involved with subject? The idea for this edited book originates from a variety of influences. First, my desire to compile this type of book stems from being a mother of elementary-age children who are exposed daily to harmful media images and messages regarding narrow cultural definitions of how they “should” look and act. Because I want my children and all others to be equipped with the skills they need to stay healthy and resilient in the face of cultural pressures around eating, weight and shape, this book is dedicated to assisting counselors and their clients to become empowered to effect positive change in this area within the multiple systems —family, school, community — in which they are embedded. The origins of this book are also grounded in my professional experience as a licensed professional counselor and counselor educator. I have been involved in the prevention and treatment field in a variety of roles. I have counseled clients, supervised and taught graduate students, published articles regarding body image resilience and eating disorders treatment, and presented at local schools to adolescent girls as well as to professionals at state and national conferences. 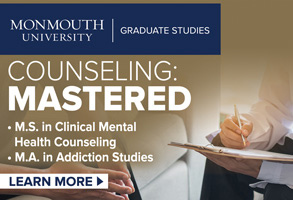 I have observed that counselors are often unclear as to their role in preventing eating disorders and obesity and in providing early intervention and treatment, and they often lack training in best practices in this field. 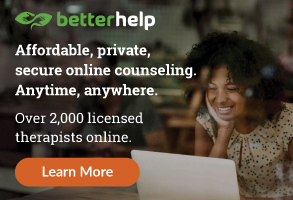 Therefore, the overarching purpose of this book is to provide a much-needed resource specifically targeted to counselors that provides accessible information practitioners can implement in their daily work with clients across the continuum of care. The book strategically includes chapters that address assessment, prevention and treatment, including information for working with children and adults as well as with clients from diverse cultural groups. What are the most important take-away messages for the reader? Readers will have access to current information on assessment, diagnosis, prevention and treatment of eating-related problems, eating disorders and obesity. Each chapter contains information to provide a knowledge base as well as essential resources for further education and training in that particular area of the field. Who is the best audience for the book? This book is intended for all counselors, not just those who specialize in eating disorders and obesity treatment. Therefore, all school counselors, mental health counselors, counselors with interest in health and wellness — specifically eating disorders and obesity — child and adolescent counselors and counselor educators will benefit from this book. Why is this book important to the counseling profession? Both practical and comprehensive, this long-needed book provides a clear framework for the assessment, treatment, and prevention of eating disorders and obesity. Focusing on best practices and offering a range of current techniques, experts in the field examine these life-threatening disorders and propose treatment options for diverse clients experiencing problems related to eating, weight and body image. Parts I and II of the text address risk factors in and sociocultural influences on the development of eating disorders, gender differences, the unique concerns of clients of color, ethical and legal issues, and assessment and diagnosis. Part II explores prevention and early intervention with high-risk groups in school, university and community settings. 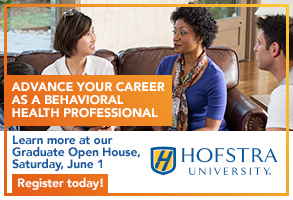 The final section of the book presents a variety of best-practice treatment interventions, such as cognitive behavioral, interpersonal, dialectical behavior and family-based therapy, which are empirically supported and have been used successfully in a variety of settings. Click here to purchase a copy of Eating Disorders and Obesity: A Counselor’s Guide to Prevention and Treatment. The obesity epidemic, meanwhile, is swelling quickly. The World Health Organization estimates that a billion people worldwide are overweight, and 300 million are obese; more than a third of U.S. adults are now obese. So, why is it so hard to lose weight? “It looks very simple: People need to eat less and exercise more. The international group of researchers, who have published a series of articles in The Lancet, said no country had yet got to grips with the problem. They said changes in society meant it was getting harder for people to live healthy lives. And they warned without state action, health systems could become swamped. Obesity-related problems, such as diabetes, were now accounting for between 2% and 6% of health care costs in most countries.